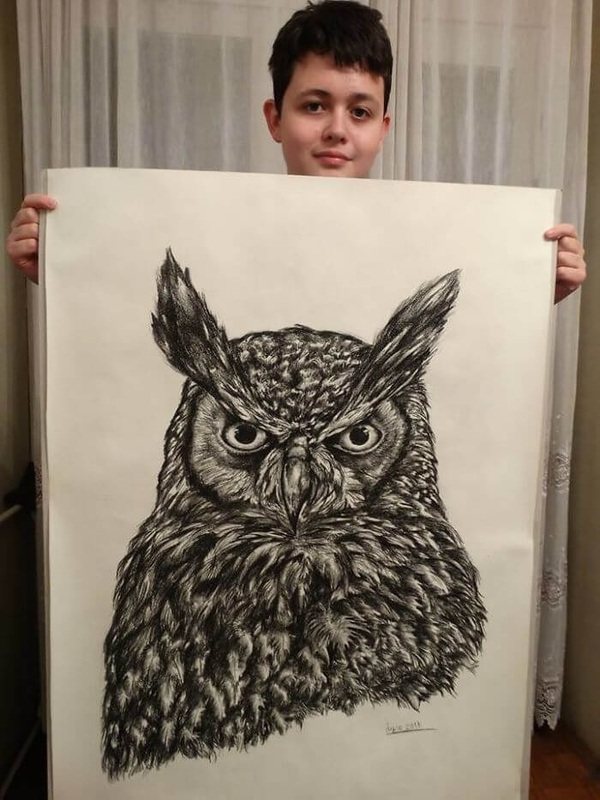 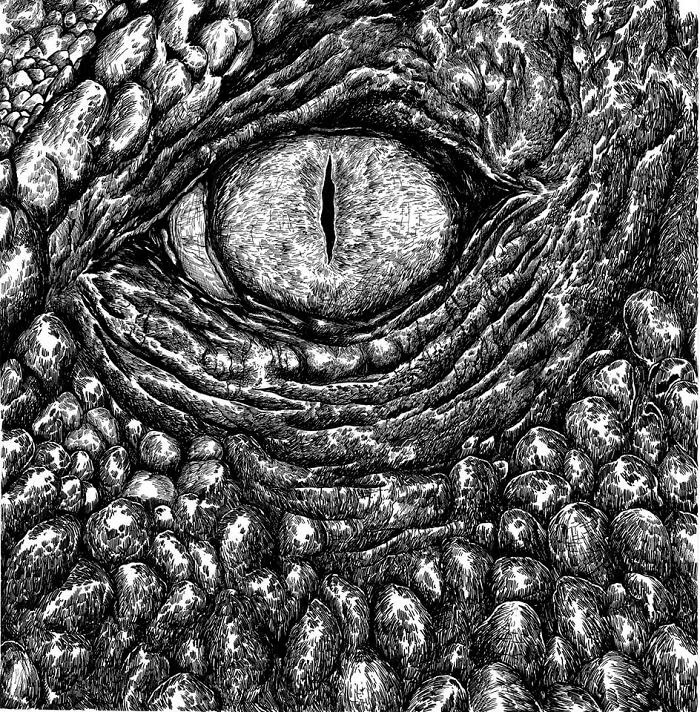 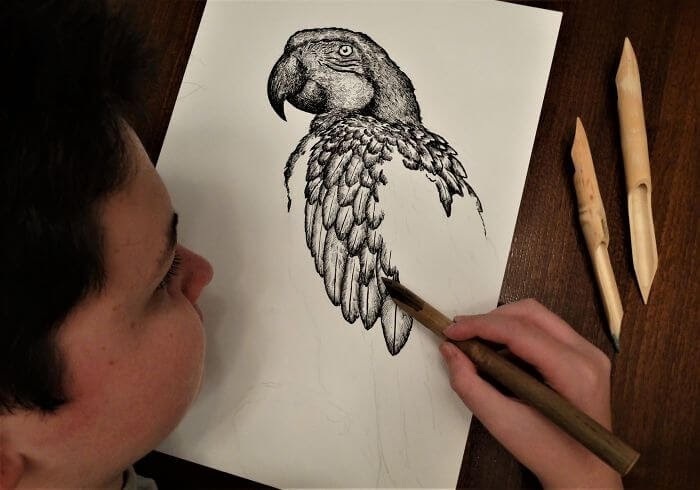 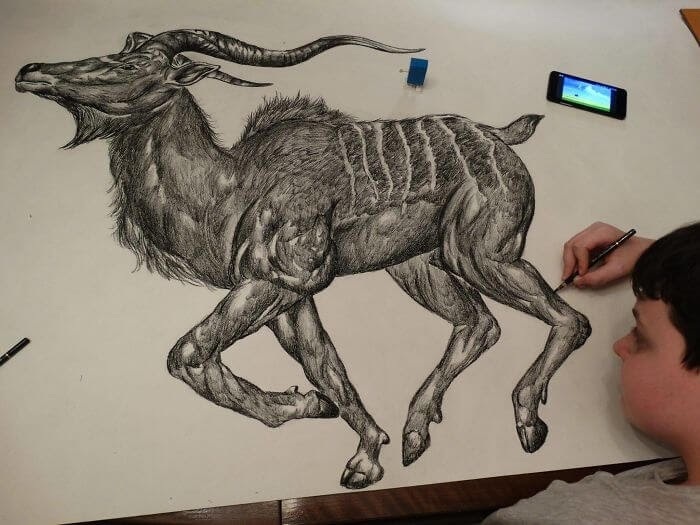 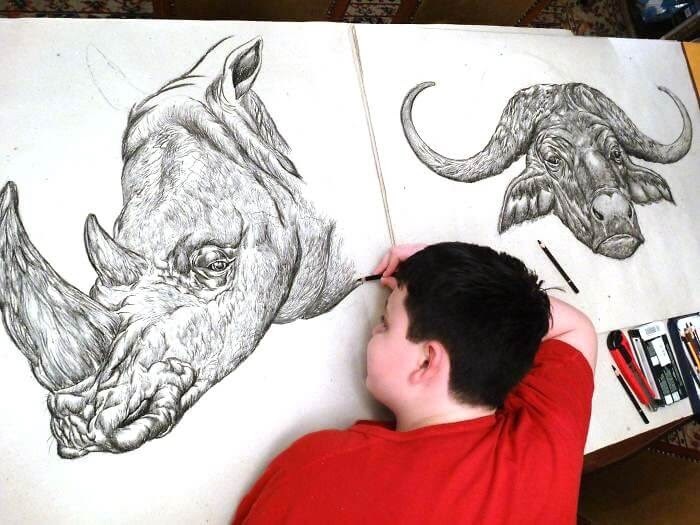 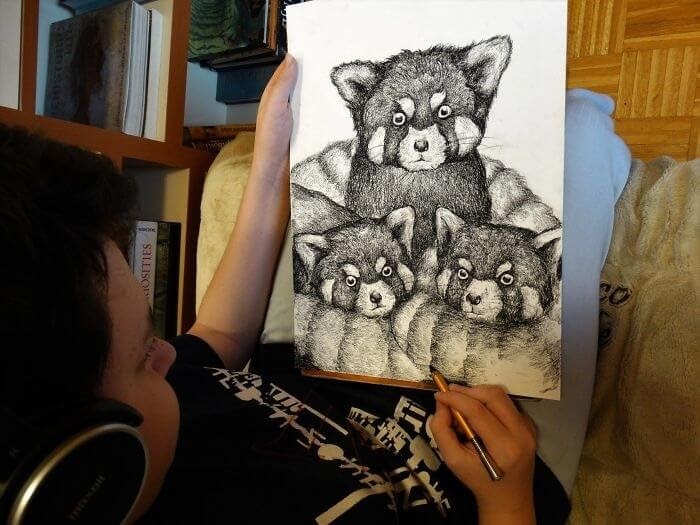 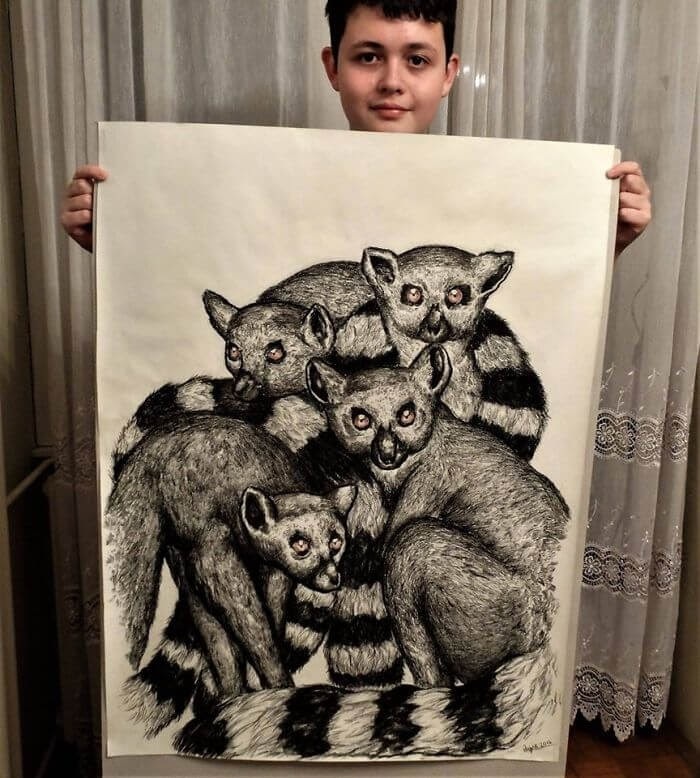 A real eye for detail and a memory, that allows this young artist to create these large interesting drawings. 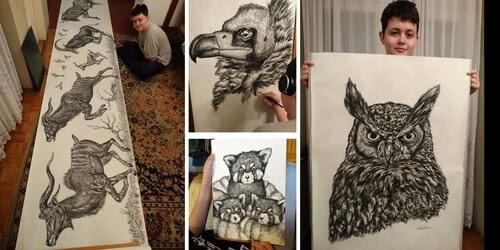 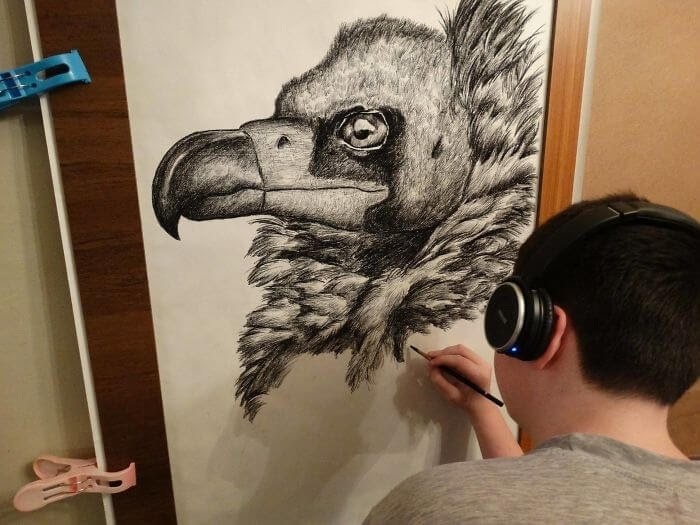 16 year old Dušan Krtolica (Душан Кртолица) has been featured before here on DesignStack, link below. 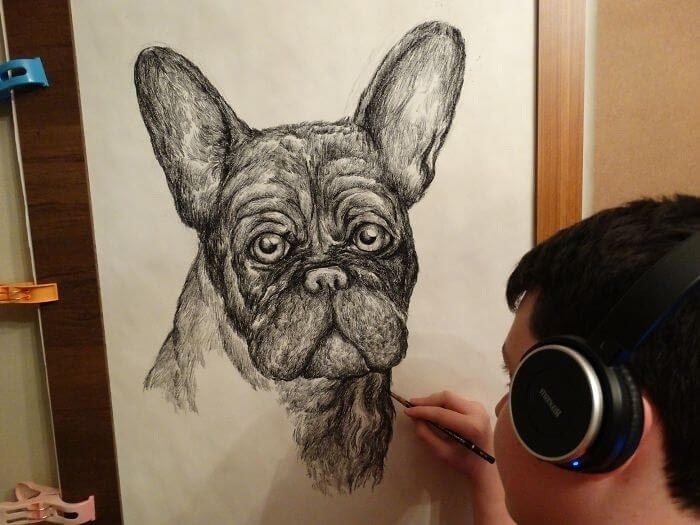 He really captivates the interest of people, because since a young age, he was able to draw without a reference in front of him. 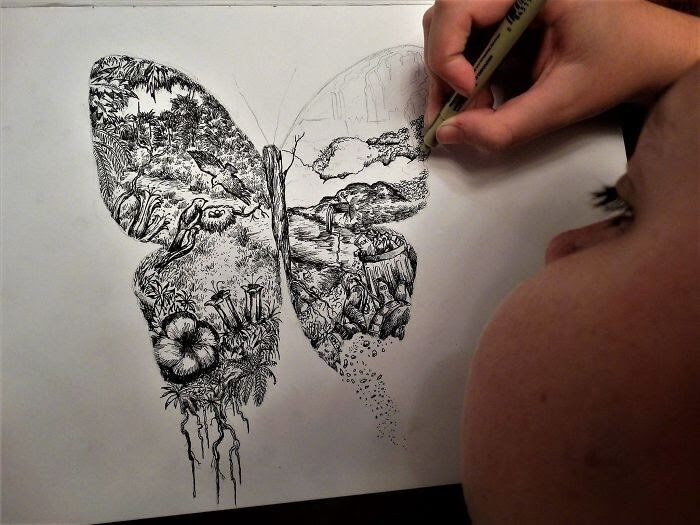 All of the inspiration comes from pictures, illustrations or movies, he had seen in the past. 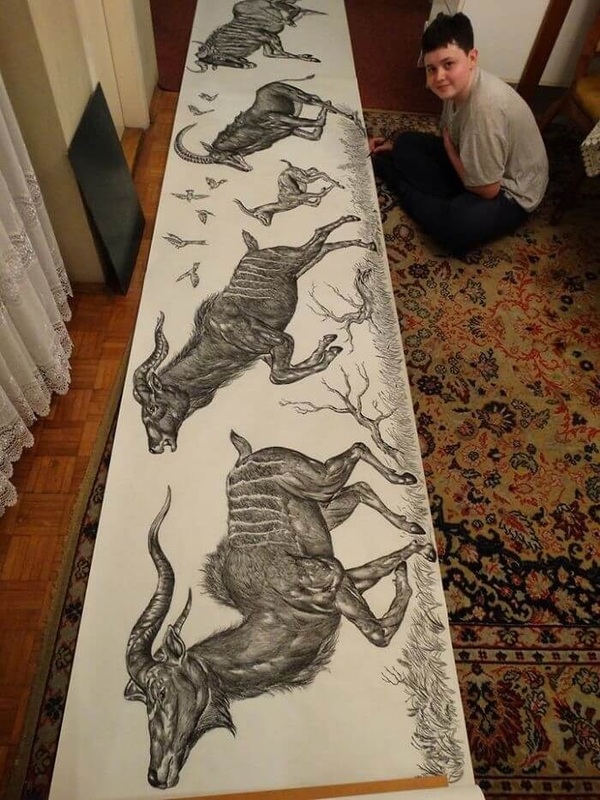 Apparently he started drawing at 2 when he could just about hold a pencil in his hand. 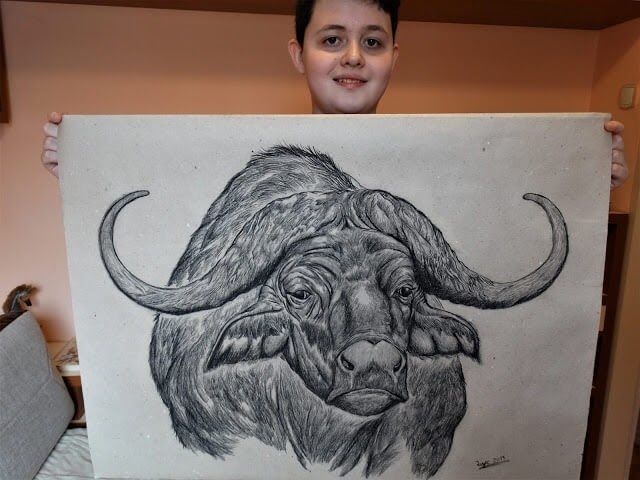 He has had 5 solo exhibitions, that given his young age, really makes you wonder, what amazing things he is going to achieve in the future. 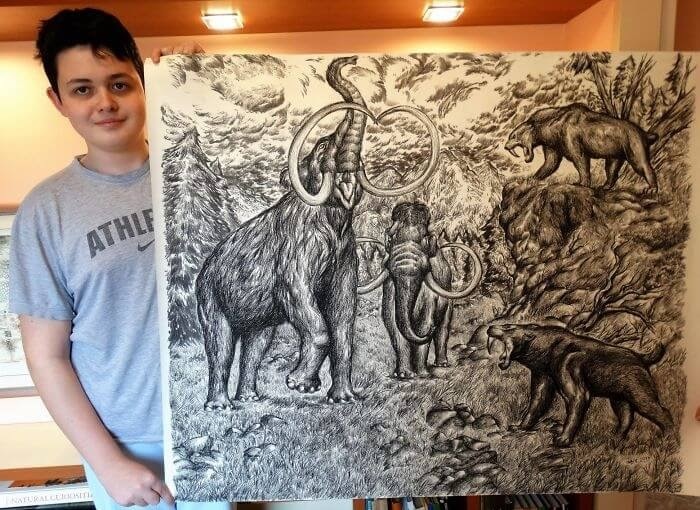 Woolly Mammoths and Saber Tooth Tiger.